Summertime is in full swing, and Orlando has plenty of sights, sounds and tastes available all over the place. With the upcoming Summer Jam: Milk Edition, I thought it would be a great event to share with everyone, and officially kick off our Music Section on Tastes Of Orlando. 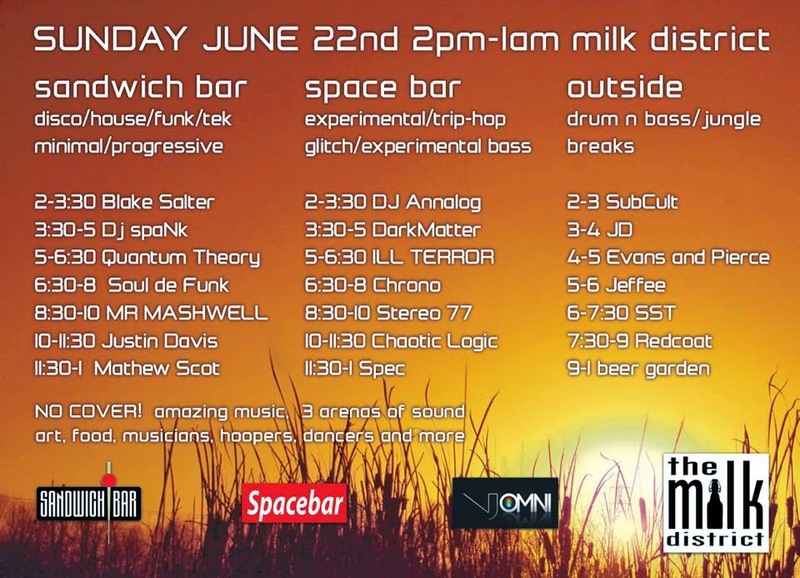 Summer Jam: Milk Edition is taking place this Sunday June 22nd in Orlando's famous Milk District. With three areas of amazing and unique sounds starting at 2:00 pm and going all the way until 1:00 am. The Summer Jam is is going to be a cool spot to hear some good music, grab a few drinks and let lose a little and best of all...there's no cover. Whether you are Old School or New School, or if you are just looking for something fun to do, make sure you come out and soak up the sounds. The venues include The Sandwich Bar and The Space Bar as well as a stand alone outside area. The Sandwich Bar will feature a mixture of Disco, House, Funk, Tek, Minimal, and Progressive House along with a minimal food selection and plenty of beer available for purchase. The Space Bar is going to be the place to hear all the latest in Experimental, Trip-Hop, Glitch, and Experimental Bass Sounds. Craft Beer and Wine will be available for purchase. The Outside Area is where all the Drum and Bass and Heavy Breaks action will take place. Here are some links to the lineup of performers.